So far the first day of spring started off cloudy in my part of the world…then the gray turned into rain. I know spring showers is a thing, but going from warm to cold isn’t the best when it comes to fashion. Speaking of fashion, do you like my dress? It’s by JUMO Originals and one of the sweetest designs I’ve ever seen. Want to see for yourself? Click Designer Showcase for your lift! Even though Monday is typically the beginning of a work or school week, in Second Life, it can be day to start a vacation! Prism Designs reintroduces one of their most popular outfits “The Hamptons” that is compatible with Lola’s Tango Appliers. There are six summertime prints to choose from. I like an outfit when it has the option to change into beachwear in a flash. We just remove the capris or shorts, shorts in my case, and we’re ready to soak up the sun. Don’t forget your sunscreen! Make everyday a holiday in SL and bask in the sunshine. 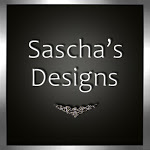 For a ride to Prism Designs, click here.